A couple of illustrations focused on the parallel between bow hunting and firearms hunting. In Romania, hunting with firearms is legal. Bow hunting is not. 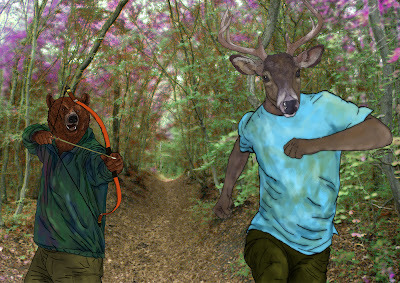 Hunting is one of the oldest human activities and over the centuries it was practiced in various methods. When its sole purpose was ensuring the food, nowadays it has became a way of entertainment. The progress of firearms and hunting gear that are integrating more and more technology is giving fewer chances to the game. 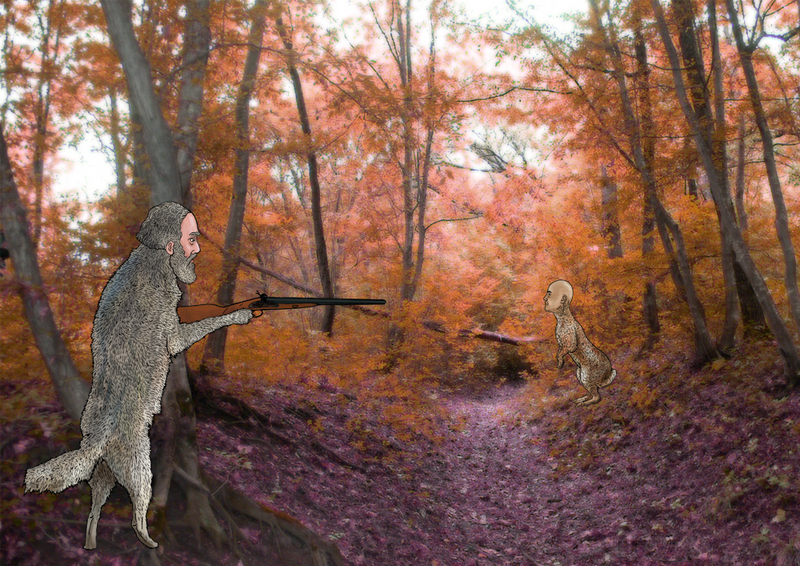 Reaching the game habitat became easier and this allows the hunter to become quicker and more easily close to the beasts. In Romania bow hunting is forbidden. Is it because hunting with fire arms is more ethical than bow hunting? Or is it a political game, just as hunting has become?